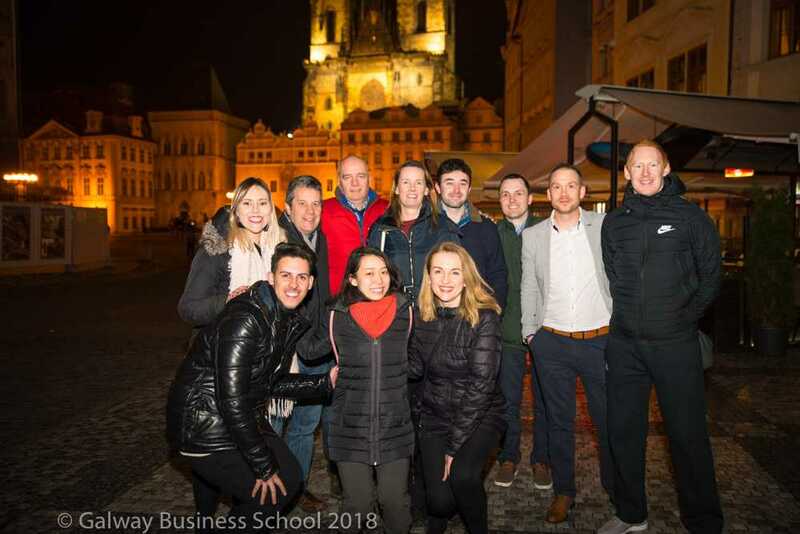 Galway Business School (GBS), in conjunction with our sister company, Galway Cultural Institute (GCI), offers a Postgraduate Foundation Programme, which prepares students to progress on to higher education in Ireland at Postgraduate level. The transition to Masters Level can be difficult for many students, particularly for non-native speakers of English. This programme is designed to offer the maximum support to students to ensure that you achieve the skills to study, and also gain a high level of English language proficiency, in preparation for life-long learning and success. The programme offers English language classes, together with specific business modules in each semester and facilitates access to postgraduate studies at an Irish or UK higher education institution. Use research skills to gather a range of relevant information and materials for entry to Masters level education. "I found all the teachers in the Galway Business School to be incredibly helpful and friendly throughout my study. They always wanted students to achieve the most they were capable of." The course runs on a full-time (Day) basis over one academic year. On completion of the course you will be awarded with a Galway Business School Pre-Masters Programme certificate. Applicants must hold a recognised undergraduate degree qualification. For non-native speakers a minimum IELTS 6.0 with no individual component less than 5.0 from a recognised IELTS testing centre is necessary. If you do not meet the minimum English language requirements for direct entry to the Pre-Masters year, you must undertake one of our English language programmes to bring you up to the requisite level for Postgraduate study. Successful completion will serve as an excellent and formally recognised bridge between a student’s current Undergraduate qualifications and further studies in a Postgraduate setting; one which will be welcomed by top-ranking Irish and UK institutions. The knowledge and skills students acquire throughout this course can be used to enhance the roles they undertake in SMEs or multinational organisations.